The Filter Cart provides a powerful way to query and access data for which you may be interested. First, the filter cart is populated asyncronously. So, when you run a query, it may take a moment to populate but this will happen in the background so you can define other queries during this time. When you are adding your first filter, all data associated with your query will be added to the filter cart (whether it be a collection, a concept, a study, a data structure/elment or subjects). Not all data structures or collections will necessarily be displayed. For example, if you select the NDA imaging structure image03, and further restrict that query to scan_type fMRI, only fMRI images will appear and only the image03 structure will be shown. To see other data structures, select "Find All Subject Data" which will query all data for those subjects. When a secord or third filter is applied, an AND condition is used. A subject must exist in all filters. If the subject does not appear in any one filter, that subjects data will not be included in your filter cart. If that happens, clear your filter cart, and start over. It is best to package more data than you need and access those data using other tools, independent of the NDA (e.g. miNDAR snapshot), to limit the data selected. If you have any questions on data access, are interested in using avaialble web services, or need help accessing data, please contact us for assistance. NDA provides a single access to de-identified autism research data. For permission to download data, you will need an NDA account with approved access to NDA or a connected repository (AGRE, IAN, or the ATP). 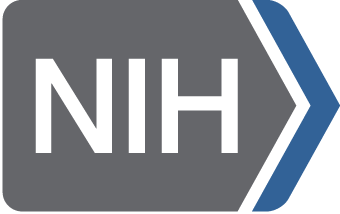 For NDA access, you need to be a research investigator sponsored by an NIH recognized institution with federal wide assurance. See Request Access for more information. This is a U.S. Government computer system, which may be accessed and used only for authorized Government business by authorized personnel. Unauthorized access or use of this computer system may subject violators to criminal, civil, and/or administrative action. All information on this computer system may be intercepted, recorded, read, copied, and disclosed by and to authorized personnel for official purposes, including criminal investigations. Such information includes sensitive data encrypted to comply with confidentiality and privacy requirements. Access or use of this computer system by any person, whether authorized or unauthorized, constitutes consent to these terms. There is no right of privacy in this system. Click on the address above if the page does not change within 10 seconds. This link opens a new browser window. To return to the NDA web site, simply close this window. NDA is not responsible for the content of this external site and does not monitor other web sites for accuracy. In addition: this link will take you to a web site that may have different privacy, security, and accessibility policies than the NDA web site. This link does not imply endorsement or support of any programs, products, or services. Derived fields provide general availability of data in NDA and should be used for that purpose only. For information on how these variables were derived please see our Methods. If you would like other derived fields made available for query, please contact us at The NDA Help Desk. Use "Select Data" below to query the data available in NDA. Then, select download to create a package and download your results. Use the Data tab above to search in other ways. For more information on search see our Methods. Selecting a data source will show the subjects associated with that data source and those subjects that match by the GUID in other repositories as well. For example, IAN subjects do not have imaging or genomics data available. However, subjects from IAN do match clinically captured data in AGRE and NDA. Query using the interface below allows you to identify subjects based upon omic alterations (see help icon for instruction). Currently, only a few projects have provided analyzed data. For projects that share genomic or proteomic results, published and provided alterations are available for query using NDA's omicSEARCH. To use this feature, search by alteration type (e.g., SNP, CNV, SNV), affected region, chromosome, cytoband, etc., returning specific alterations. The details column will specify possible values for a given alteration (e.g., possible alleles for a given SNP). Selected alterations can then be applied -- via Show Results -- against participant data, including phenotypic categories and imaging results in NDA. Authenticated users will be able to search by significance values and download participant data. Enter your search criteria in the input fields. Most fields will take a comma-separated list of values. Values separated by a comma will have "OR" logic applied to them, and "AND" logic will be applied between fields. For example, "Chromosome: 1, 2" with "Address: 95100795, 10320083" would return results located on either chromosome at the specified positions. The address field for CNVs is in the form of "start:stop" position (Note: this is not a range search and will only return an alteration with the exact start and stop position). The system will suggest values as you type. To see all available values before typing, press the up or down arrow key. You may navigate through the suggestion list with the mouse or keyboard. Once you have entered all values you wish to search by, click the "Show Results" button on the bottom of the dialog. This will populate the table with all alterations that match your criteria. You can use the table navigation controls to select how many alterations to see at a time and to navigate forward, back, or to a specific page of alterations. Check the "Select" box next to all alterations you would like to see subjects for, then click the "Apply" button at the bottom of the dialog. The dialog will close and the main page will display the subjects that match your selected alterations, including selection criteria for phenotype, imaging, and basic demographics.